In the sessions, the practitioner takes a roll as a channel for the healing energy from the universe and passes it on to the client. The healing energy gives the client healthy body, mind and spirit. In the classes, you will learn about Reiki healing and actual techniques. We appreciate our taking part in your happy life through Reiki healing. A total of 15-20 minute counceling allowed before and after the healing. Happy Life Creations offers 4levels of Usui Reiki. In Reiki classes you will learn about Reiki , practice Reiki, and recieve Reiki attunements. A Reiki attunement tunes your energy to the Reiki energy, so that you can recieve and pass the Reiki energy. After taking the first Reiki class, you can start healing yourself, families and friends. Once you have recieve an attunement, your Reiki healing faculty never goes away. In the Asian world, we believe that energy flows in our body, mind and spirit. When the energy doesn’t flow as it should, we loose our balance and would have problems with physical, mental, and spiritual functions. Flowing healing energy into you, Reiki helps you to get back harmony and well balance. 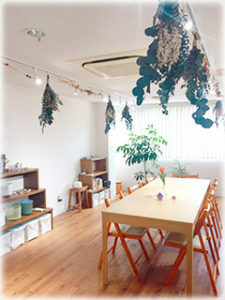 We are located in Shibuya-ku, Tokyo. I encountered Reiki healing when I had been sick for a while. I went through examinations in several hospitals, but doctors couldn’t find the cause. I realized I needed to get my healthy rhythm back and build self-healing ability. I looked for holistic treatment and found out Reiki healing. After the first Reiki class, I knew this could change my life. Then I learned Usui Reiki and Karuna Reiki®. Right after the first class, I started to give Reiki healing to myself, my family and my friends. After a little while, my health became much betther and I felt something had changed in my mind . Then, I realized I felt more happy and peaceful than before. by recieving Reiki healing, my sister’s life had also changed. Since she was very busy for her work, she was always tired and stressed out. but ever since she started recieving Reiki healing, her stress was reduced and her brain started working clearly. Now, she works less, but gets the same result as before and she enjoys her life. 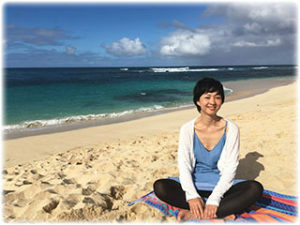 By knowing Reiki more and more, things I had been wondering since I was a teenager had became clear, like puzzle pieces becoming a big picture. Why are we alive? What is happiness? Where do we come from and where do we go? …etc. I believe everyone is born to be happy. Each of us try to be happy in our own way, but sometimes it works and sometimes it doesn’t. When we live with a healthy body, happy mind, peaceful spirit, and good things come to us. Reiki healing can help us clear our minds and make us go to the right way we are supposed to go to. Copyright © ハッピーライフ☆クリエーションズ All Rights Reserved.